We can personalise the first page with the bridal couples names and the date of the wedding and a poem/verse/message etc, please see personalisation for cost. You can choose the colour of the guest book from the special range of papers. You can also choose the colour of the ribbon on the spine. A plain matching storage box is included. 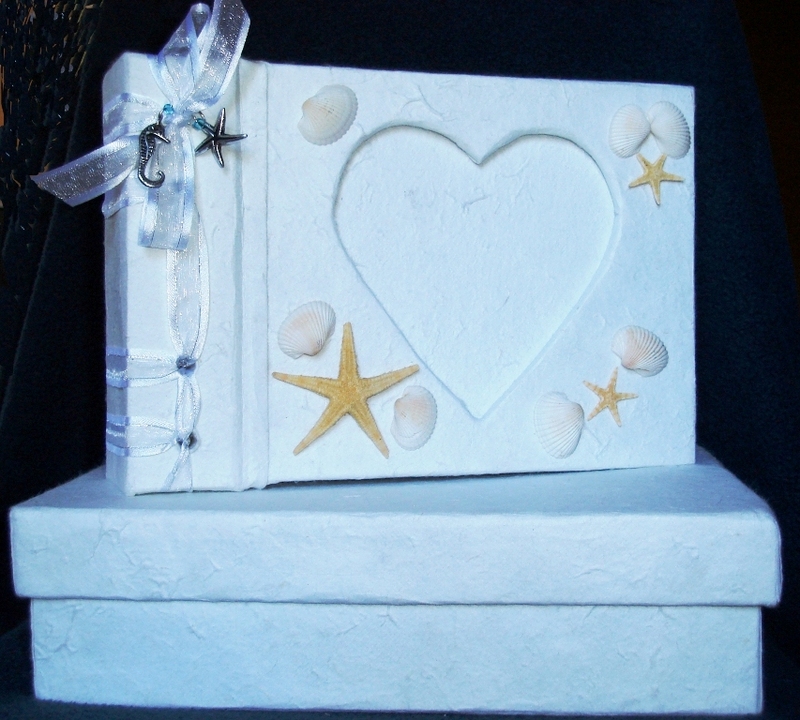 Starfish and shells sourced as per brides requirements, to be quoted on.